In the interest of "simplifying things" I had fully intended to back off on everything especially in participating in too many art shows this holiday season. However, much to my surprise it looks like I managed to do just the opposite in this regard! Below is a list of places that I will be showing work. One nice thing about each of these venues is that all I had to do was show up with my work and someone else took it from there (doing all the hard work of hanging it, displaying, and minding “the store” or more accurately “the gallery”.) Compared to doing art festivals this makes one feel quite pampered! Most of these venues except for the show at Orazio Salati’s Gallery are mainly prints and greeting cards. -Gandee Gallery, a gem of a gallery in the pretty town of Fabius will feature a Holiday Group Show of 12 local artists from November 29- Jan 19. Visit their website at (www.GandeeGallery.com). 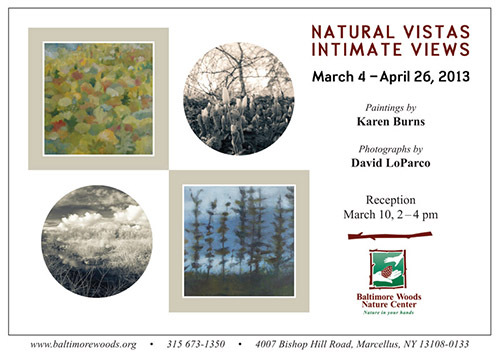 You Are Invited to 2 Opening Receptions this Friday! You are invited to attend 2 Opening Receptions this Friday (First Friday). 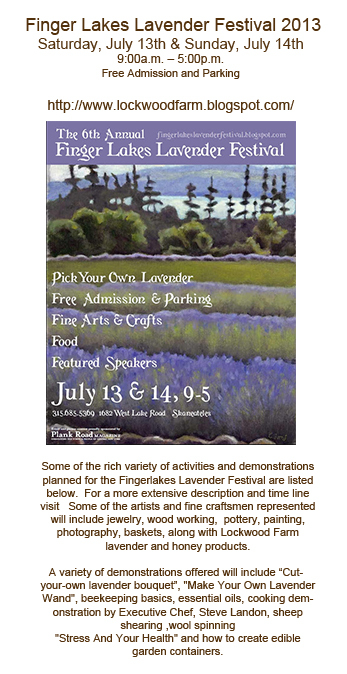 I'll be showing 9 pieces with the wonderful Rock Garden Group at the Center for the Arts in Homer. 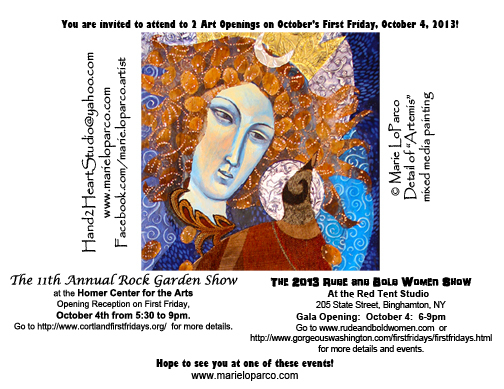 Then in Binghamton I'm excite to have a piece in the "Rude and Bold Women" show at the Red Tent Studio. Hope the timing is such that I get to see you at one of these shows! 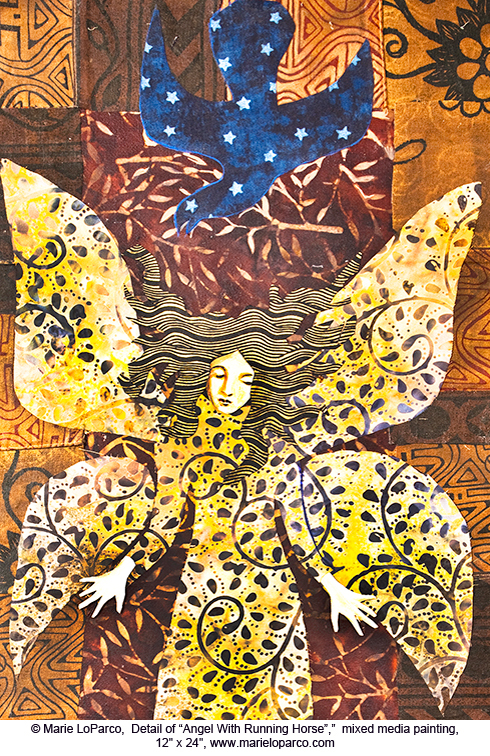 You are invited to attend a Celebration of Women’s Creativity! 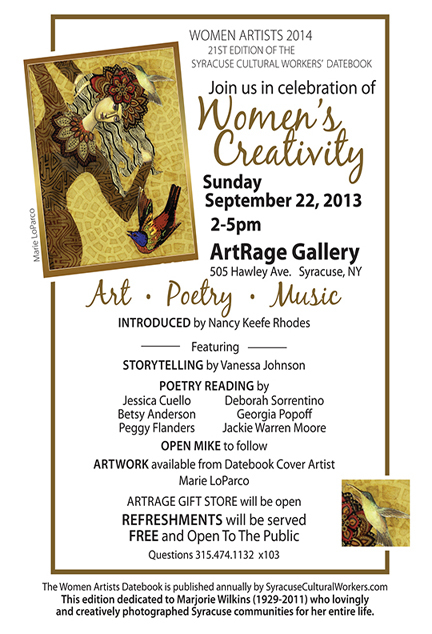 Celebration of Women’s Creativity: Sunday September 22 from 2-5pm at the ArtRage Gallery for Art, Poetry, and Music and the 21st edition of the Syracuse Cultural Workers’ Datebook of Women’s Art. Been asked to display a few pieces on the 22nd and to bring some of my prints and cards to have available for purchase. This should be a nice event and a chance to check out the ArtRage Gallery. If you live nearby hope to see you there! Come and see me in booth # 60 at the Ithaca Artists’ Market on Friday, July 26th from 2pm to 8pm. 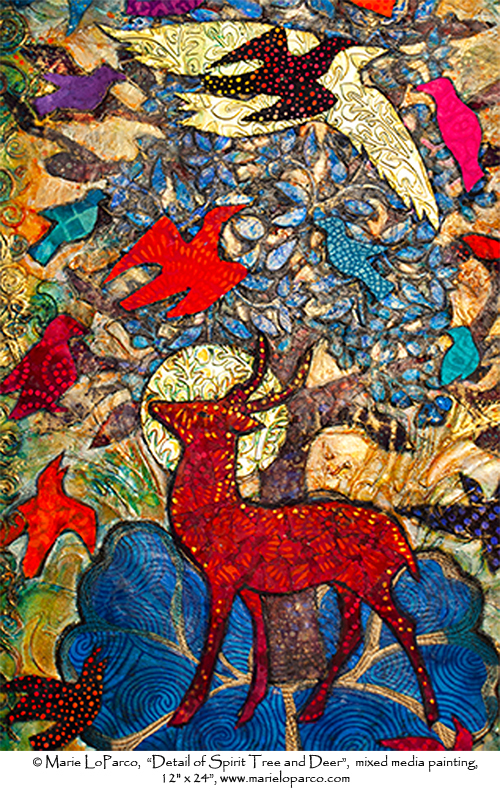 The show features over 65 fine artists (painters, photographers, printmakers, sculptors, ceramists, glass artists, fine furniture, fiber artists and more) that have been juried into the show and sale. In addition there will be wine and food and dessert vendors and live music throughout the day. Would love to see you there!!!! PS. Another way to get updates on future shows, sales, new work, workshops, or studio events is to "Like" my Facebook Page. Go to facebook.com/marieloparco.artist Thanks! a full this of event details and times. Mixed Media Messages of Female Empowerment. 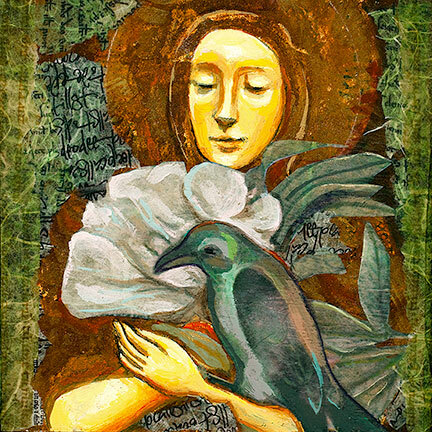 behind their focus on the feminine.on Mixed Media." It was nice of her to include me! have a room full of work there during the month of May. A great place with outstanding food! You can visit on the web at maninthemooncheesecake.com. Cortland Blooms First Annual Green Fair. Local businesses, organizations, and over 30 artisans, vendors of local products, musicians and artists will showcase their work at the Corset Factory. Go to their website listed below for a list of the many activities going on that day! 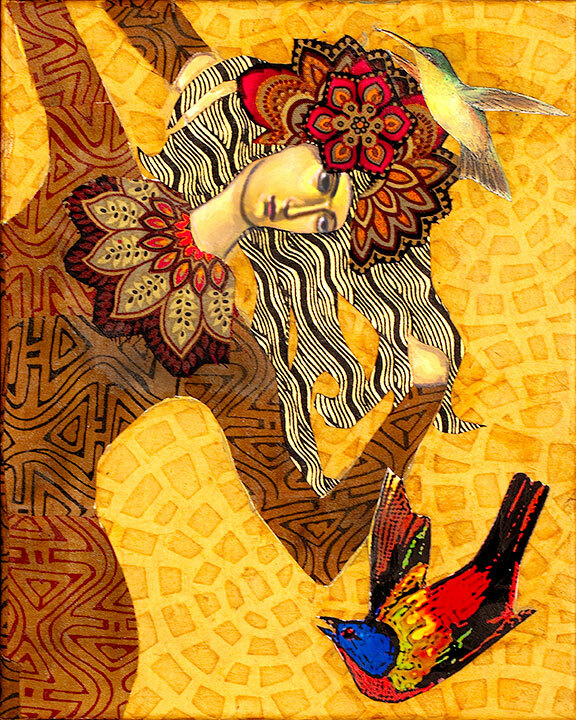 "Matriarch: Annual Women in the Arts Regional Group Exhibit" this Friday, March 15 from 5- 8pm. 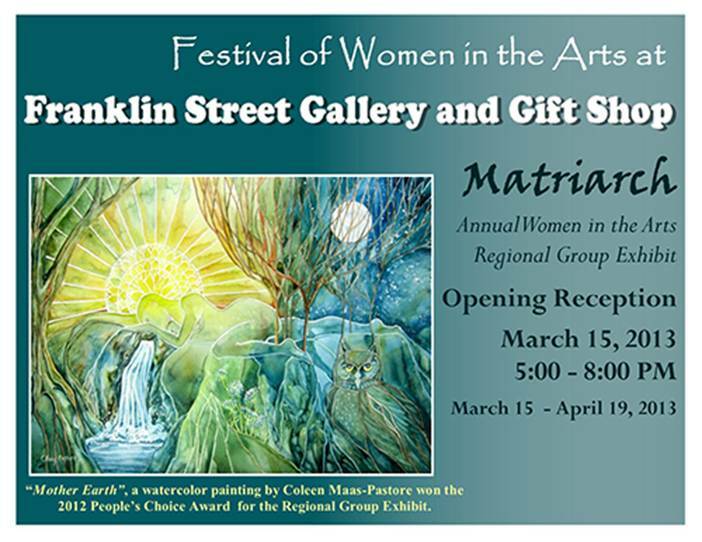 You are invited to a group show called, at the Franklin Street Gallery (209 N. Franklin St., Watkins Glen, NY 14891. As part of this group exhibit I will be showing one of my paintings. Hope to see you there.